My style statement is a stylish but elegant outfit. I need my outfits to be comfortable else i will never be happy in my pictures.... Is it just me or do u guys also feel the same? I have come up with two festive outfit ideas... One is with an Ankarkali and the other is a beautiful Saree... All the products are from Myntra. I don't wear Saree's that often, but now that i gotta wear a Saree to office on Tuesday. I thought why not come up with an outfit idea with Saree for the festive season. Which outfit idea did you like more? 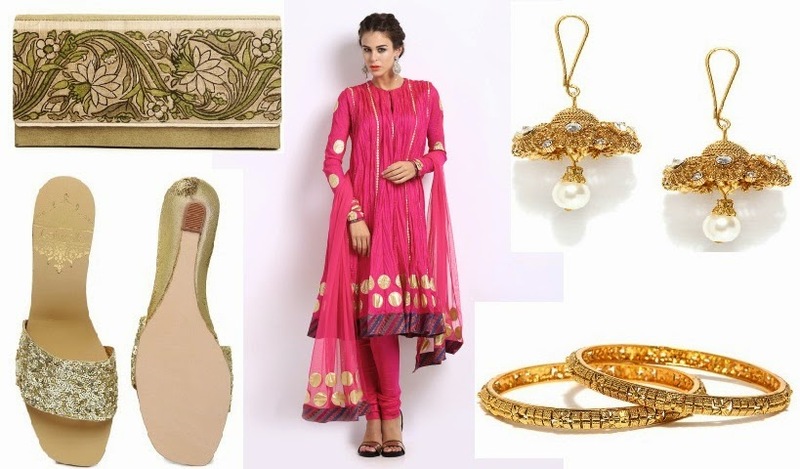 How are you planning to style your outfits for diwali? Great outfits. Love the accessories you picked. Will definitely share pics! Though i'm scared how will i manage the entire day in office... God help me! Thanks Vipra... Even i like the black sari outfit more! Wow superb saree & other fashion accessories. So beautiful & pretty.